Most Reverend Justin Welby said that Christians are facing “the worst situation since the Mongol invasions of the 13th Century”, explaining how many in the Middle East are living in fear to practise their religion. Writing in the Sunday Telegraph, Archbishop Welby warned how thousands of Christians have fled their homes, have been killed, enslaved, or forced to convert from Christianity. He wrote: “Hundreds of thousands have been forced from their homes. 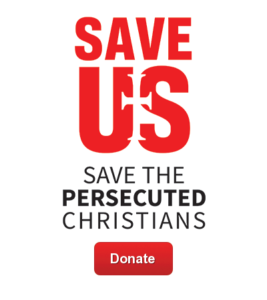 Many have been killed, enslaved and persecuted or forcibly converted. Even those who remain ask the question, ‘Why stay?’. “The Christian population of Iraq, for instance, is less than half what it was in 2003 and their churches, houses and businesses have been damaged or destroyed. EGYPT – Will Egypt Remove Religion from ID Cards?